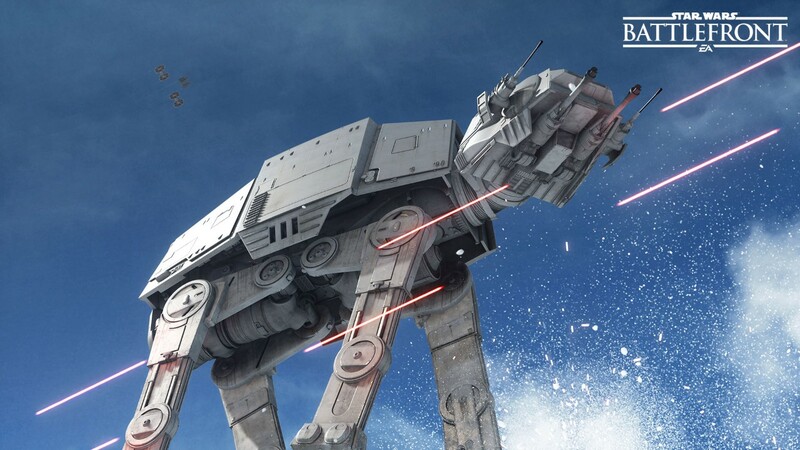 Engage in intense battles centered around the iconic AT-AT walkers of the Star Wars™ universe. 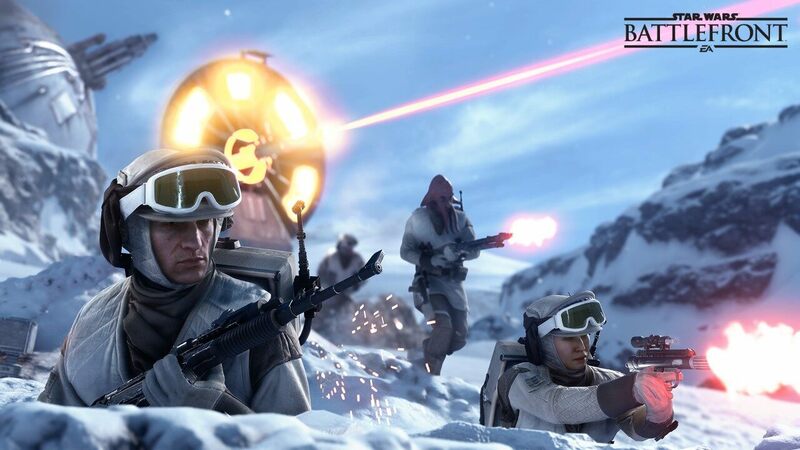 Update September, 2015: The Battlefront Beta will include gameplay content described in this article. 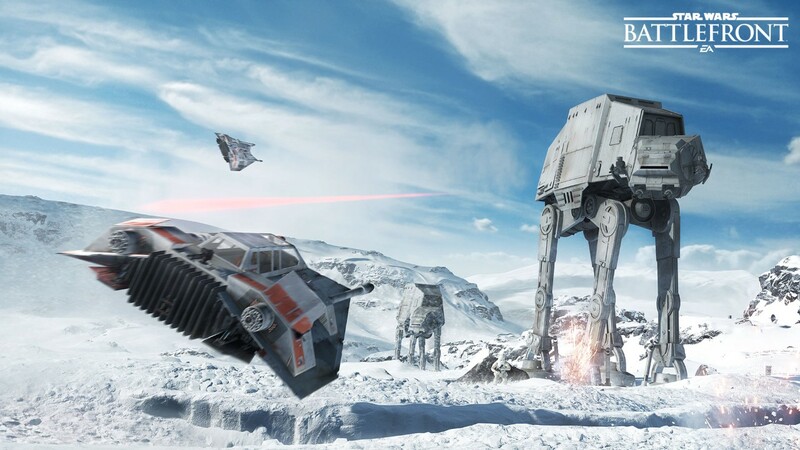 Inspired by the iconic Battle of Hoth, Walker Assault is a game mode focusing on the Empire’s mighty AT-AT assault vehicles - also known as Walkers - slowly but steadily moving towards a Rebel base. 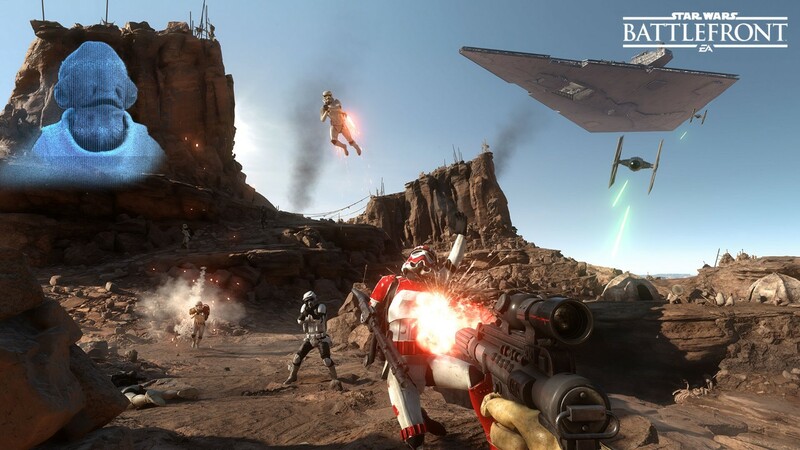 You’ll get to experience both sides of this clash on all the Star Wars™ Battlefront™ planets, with up to 40 players (20 versus 20) being part of the fight. It’s a classic David and Goliath struggle – but the outcome is always uncertain and in the hands of you and your team. Playing as a Rebel? That Walker needs to be taken down! Since your Blaster won’t make a dent in the armor, Y-Wing Bombers must be deployed to weaken the AT-AT’s defenses. The Y-Wings are called in by activating Uplink Stations located on the map. Once you’ve reached an Uplink and defended it long enough, the bombers are called in for one or more raids to weaken the Walker. During this window of opportunity, the Walker is vulnerable to attacks from normal weapons such as blasters and can be brought down, which presents some interesting strategic choices. Will your team members focus on defending the same Uplink, or will they spread out and go for two? 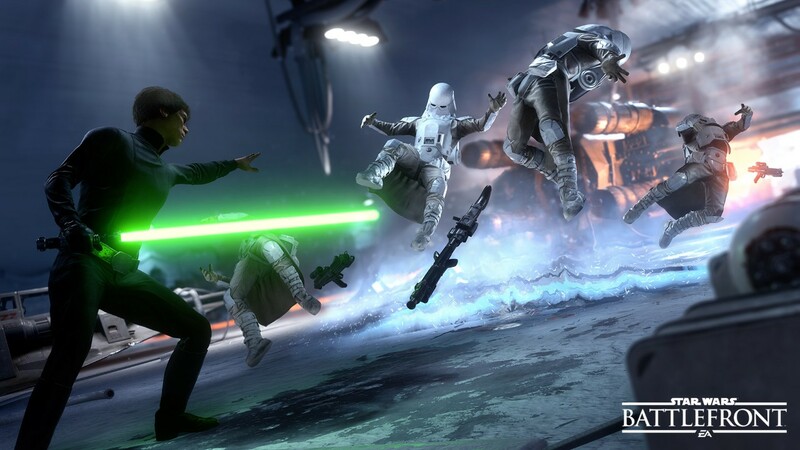 Once the Walker defenses are down you can also try a trickier but incredibly stylish move: the Tow Cable Takedown. Star Wars fans know the score: find a Snowspeeder and use its Tow Cable to entangle the AT-ATs legs, causing a fatal fall for the Walker. This is a real challenge, as damage to your vehicle can interrupt the takedown, and you also need to stay closer and closer to the AT-AT for each turn you take around it. Saving the day this way though will be a thrilling heroic deed. If you’re on the Empire side, your focus will be on the Imperial Walker being escorted safely along its destructive path. Stopping the Rebels from calling in the Y-Wings is crucial, so expect a lot of firefights around the Uplink Stations. If you succeed in preventing an Uplink Station from being activated, it will eventually run out of power and be unusable to the Rebels, who will be forced to find another Uplink Station on the map. If you find a certain powerup on the map, your Empire soldier can also access the Walker itself and take control of its mighty weaponry. You’ll be in control of the Walker’s guns for a limited amount of time, but that time will be extended if you score enough kills during that time. If you’re skillful enough, you might be in this powerful seat for a long while. Trying out Walker Assault on the different planets of Star Wars Battlefront will be a unique experience for each environment. The icy landscapes of Hoth are wide and open; ideal for Blasters with long range. As a contrast, sneaking around the forests of Endor will be reminiscent of guerrilla warfare, with the Walker moving around much closer to you. And while we're on the subject of gameplay diversity, there'll be plenty of action around the Walkers as well. Infantry facing off in thrilling firefights, X-Wings chasing down TIE Fighters, and Hero and Villain characters like Luke and Vader making awe-inspiring appearances. With an asymmetrical game mode like Walker Assault where the two teams have their unique strengths and weaknesses, one prime goal has been to make the experience as balanced as possible. In other game modes with different conditions for each team, the experience can be very static and unforgiving if the teams aren’t exactly even-matched, but with the design of Walker Assault the opportunities are always there for each team. Our ambition with Walker Assault is to offer a thrilling multiplayer mode with great variety, inspired by one of the most classic Star Wars battles ever. We’ve all had the fantasy of being part of these iconic battle conditions and now that fantasy is within reach. No matter which side you’ll play on, we think your experience with Walker Assault will be incredible when you get your hands on it come November 17th.